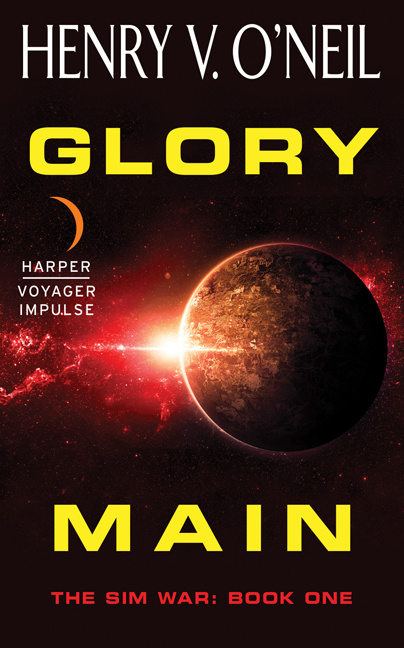 Military sf GLORY MAIN publishes today! Happy publication day to our Voyager Impulse author Henry V. O’Neil for his military sf GLORY MAIN. Henry was a winner from our digital submissions contest and we couldn’t be more excited! Lieutenant Jander Mortas is fresh out of officer training and new to the war zone but eager to prove himself. There’s just one problem: disaster strikes while he’s traveling to his first assignment. He wakes to find himself marooned on a planet that appears deserted, with the only other survivors: a psychoanalyst, a conscientious objector, and a bitter veteran of a brutal slave-scout detachment. As the group struggles to reach safety on a nearby base, Glory Main, they discover a Sim colony—which could mean their salvation, or their demise. Thrown together, they must fight the harsh elements, an ever-present enemy, and possibly each other.